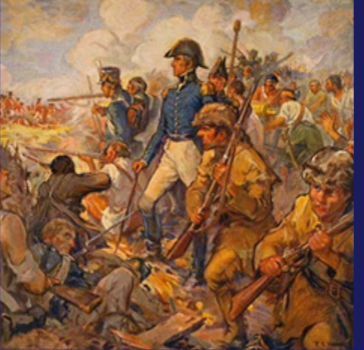 After a council of war, the British decided to try to blast the Americans out of their positions. The guns brought up earlier could not do the job. Orders were sent to bring up 30 of the largest pieces that could be brought in from the fleet, which took several days at great effort. During this time Jackson strengthened his line and sent Major Latour across the river to the west bank to batteries across the river. The Louisiana fired upon the British during the day. On the night of the 31st, the Americans could hear digging and hammering in the British position . The British were getting their big pieces of artillery into place, ten 18 pounders and four 24 pound carronades, a short smoothbore, cast iron cannon. The Louisiana was anchored above the lines . A deserter had warned the Americans that two large howitzers were set up with hot shot on the levee waiting for the ship. When New Year's day broke, a fog so dense that a man could discern nothing at distance of twenty yards covered all the plain. Thinking the British would not attack, Jackson ordered a grand review of the army . Local citizens came from the city to watch. Toward ten o'clock the fog rose from the American position and disclosed to the impatient enemy the scene behind the lines. At a signal from the central battery of the British, the whole of their thirty pieces of cannon opened fire full upon the American lines and the air was filled with the red glare and hideous scream of hundreds of Congreve rockets ! The Americans were thrown into instantaneous confusion." If the British had antipersonal instead of demolition ammunition they might have broken Jackson line then. During the first ten minutes of the bombardment, Jackson's headquarters at the Macarty house was hit one hundred times. Jackson and his staff escaped injury. "The American ranks were broken,"reported one British officer, "The different corps dispersing, fled in all directions, while the utmost terror and disorder appeared to prevail. Instead of nicely dressed lines, nothing but confused crowds could now be observed; nor was it without much difficulty that order was finally restored. Oh, that we had charged at that instant !" wrote Gleig. The firing lasted on both sides for nearly 3 hours almost without interruption. 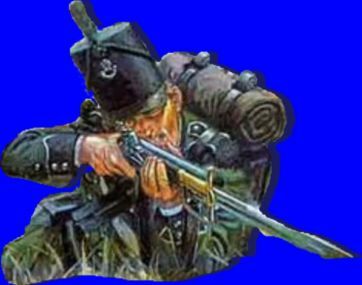 The British had larger guns and more of them and were manned by veterans the Napoleonic wars and caused more damage on the Americans guns in the beginning. Shots were exchanged with the American battery across the river, but no real damage was done. The cotton bales the Americans used caught fire. Two powder caissons blew up, causing the British to cheer. A boat with supplies 200 yards behind the American lines was sunk. Ten guns were in position in the American lines, besides those in the battery on the other side of the river. Upon Jackson's coming to the front he found his artillerymen at their posts, waiting with lighted matches to open fire upon the foe. 'Don't mind those rockets, they are merely toys to amuse children,' said Jackson as the fiery Congreves took the air the firing of the American lines began. The other batteries instantly joined in the strife. Before long the British howitzers on the levee and the battery of Commodore Patterson on the opposite bank exchanged a vigorous fire. For the space of an hour and a half a cannonade was exchanged .Well aimed, however, were the British guns, as the American lines soon began to exhibit their effect . Most of their balls buried themselves harmlessly in the soft, elastic earth of the thick embankment. Many flew over its summit and did bloody execution on those who were bringing up ammunition, as well as on some who were retiring from their posts. Several balls struck and nearly sunk a boat laden with stores that was moored to the levee two hundred yards behind the lines. The cotton bales of the batteries nearest the river were knocked about in all directions and set on fire, adding fresh volumes to the already impenetrable smoke. A thirty-two pounder in Lieutenant Crawley's battery was hit and damaged. The carriage of a twenty-four was broken. One of the twelves was silenced. Two powder-carriages, one containing a hundred pounds of the explosive material, blew up with a report so terrific as to silence for a moment the enemy's fire and draw from them a faint cheer. Vincent Nolte, the New Orleans cotton merchant, was behind the lines during this desperate cannonade and favors his readers with his recollection of it. 'The largest British battery," says Mr. Nolte, "had directed its fire against the battery of the pirates Dominique You and Beluche, who had divided our company into two parts and were supplied with ammunition by it. Once, as Dominique was examining the enemy through a glass, a cannon shot wounded his arm; he caused it to be bound up, saying, 'I will pay them for that!' and resumed his glass. 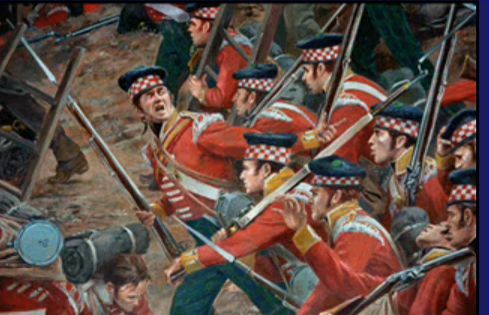 He then directed a twenty-four pounder, gave the order to fire, and the ball knocked an English gun carriage to pieces, and killed six or seven men. The flash of a gun reaches the eye long before the report gets to the ear and thus the ball can sometimes be avoided. 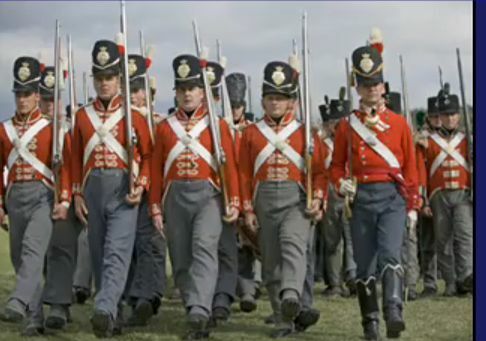 I have watched both the flash and the report and I have seen the best tried soldiers, both officers and men, even the utterly fearless Jackson himself, getting out of the way of the Congreve rockets, which were sent in great quantities from the British camp. Others, again, either actuated by a different principle, or less prudently observant of danger and less anxious to avoid it, like my friend St. Avit for instance, remained confident in their fate in the same position, and stood quietly as if all the roar of the cannon and the hissing of missiles about their ears was entirely without interest to them. The General during this cannonade was constantly riding from one wing to another, accompanied by his usual military aids, Reid and Butler and the two advocates, Grymes and Davezac. The munitions were in charge of Governor Claiborne, who was so frightened that he could scarcely speak. On the 1st of January ammunition was wanting at batteries Nos. 1 and 2. Jackson sent in a fury for Claiborne, who was with the second division, and said to him, 'By the Almighty God, if you do not send me balls and powder instantly, I shall chop off your head, and have it rammed into one of those field pieces ! 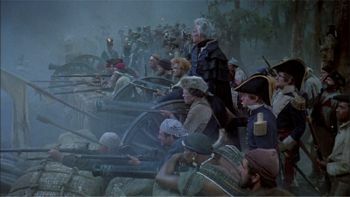 While the first cannonade was still at its height, word was brought to Jackson that a body of the enemy was approaching the left of his line along the edge of the swamp. Coffee was upon them while they were struggling with the difficulties of the ground and drove them back to the main body. It was nearly noon when it began to be perceived that the British fire was slackening. The American batteries were then ordered to cease firing for the guns to cool and the smoke to roll away. What a scene greeted the anxious gaze of the troops when at length the British position was disclosed! Those formidable batteries, which had excited such consternation an hour and a half before, were totally destroyed and presented but formless masses of soil and broken guns ; while the sailors who had manned them were seen running from them to the rear and the army that had been drawn up behind the batteries, ready to storm the lines as soon as a breach had been made in them, had again ignominiously "taken to the ditch. However, the American fire was more accurate, thanks in part to the Baratarians. Those hogsheads of sugar were the fatal mistake of the English engineers. They afforded absolutely no protection against the terrible fire of the American batteries ; the balls going straight through them and killing men in the very center of the works. in little more than an hour the batteries were heaps of ruins and the guns dismantled, broken and immovable. The howitzer, too, on the levee, after waging an active duel with Commodore Patterson on the other side of the river, was silenced and overthrown by a few discharges from Captain Humphrey's twelve-pounders. Another British officer writes: "Five guns were left behind" (which afterwards fell into Jackson's hands), ''rendered useless, it is true, but it cannot be said that the British army came off without the loss of some of its artillery. During three days and three nights I had never closed an eye. To undertake the duty of a picket was as dangerous as to go into action. Parties of American sharpshooters and disturbed those appointed to that service from the time they took possession of their post until they were relieved; whilst to light fires at night was impossible, because they served but as certain marks for the enemy's gunners. My food, during all that space, consisted of a small quantity of salt beef, and a sea biscuit or two, and a little rum; and even that I could hardly find time or leisure to consume. "When pork and beans ran short, it was no un- common thing for both officers and men to appease the cravings of hunger by eating sugar out of the casks and molded into cakes." Yet, for in all their complaints no man ever hinted at a retreat, whilst all were eager to bring matters to the issue of a battle � at any sacrifice of lives. The British loss on the 1st of January was about thirty killed and forty wounded ; the Americans, eleven killed and thirty-three wounded. Most of the American slain were not engaged in the battle, but were struck down at a considerable distance behind the lines, while they were looking on as mere spectators. The British batteries had failed, there was nothing more to do except wait for more troops under General Lambert to arrive and overwhelm the American line. From: The Youth's Companion . Historic Milestones . On the morning of the 4th of January the whole American army had exhibited signs of high elation at the news of the arrival of two thousand, two hundred and fifty Kentuckians under Major-General John Thomas and Brigadier General John Adair. But when the ragged, foot-sore back- woodsmen limped into Jackson's camp below the city the cheers melted into groans of apprehension. Of these fighters but 550 of them were properly armed ! Not only were these long looked for Kentuckians without arms but they were practically destitute of clothing. Again was the commander-in-chief left upon his own resources and his rough but ready genius. The invaded state and the women of the city were with him, however, at this crisis for the legislature appropriated a sum of money for the purchase of blankets and woolens which were distributed among the women of the city to be made into clothes. During this time, Jackson was worried the British might attack from another point, probably from the east on the Gentilly road. He needed a spy to see what the British were doing at their disembarkation point at the junctions of Bayou Mazant and Bienvenu. For this he employed Reuben Kemper and some of his men of the Feliciana Dragoons to reconnoiter the area and report back. The British had set up a breastwork with guards at that point. Kemper was able to observe the British for a number of days and reported back that no new avenue of invasion was coming. On Jan 4 2,000 Kentucky militiamen under Major General John Thomas arrived, however, they were in sorry shape. their clothes were reduced to rags with only about 350 being armed. Their appearance shocked the people of New Orleans that a subscription was started to clothe them. As the new year went on, the Americans waited for the next move of the British. Jackson ordered a redoubt built a few feet in front of his extreme right line to enfilade the British if they reached the rampart. It was connected to the rampart by a single plank over the canal. 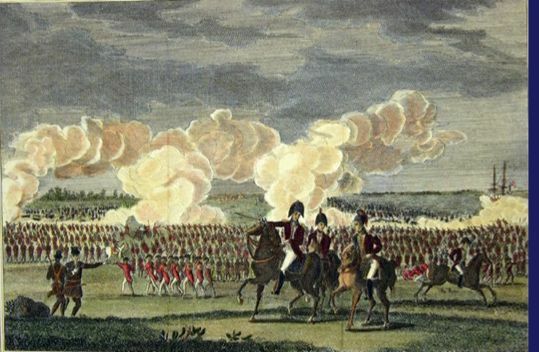 It was guarded by a company of the 7th Regiment and given artillery. On Jan 6th a small British supply boat was captured off Bayou Bienvenu. The ten prisoners captured revealed that the British were building a 2 mile canal from the bayou to the Mississippi to transport troops to the other side of the river. This was to prove to be a back breaking task. Jackson reinforced the west bank with about 400 of the poorly armed Kentucky militia. After spending all day on the 6th working on the parapet, were ferried across the river and arrived on the west bank hungry and exhausted. As the canal was being finished, the expected reinforcements under General Lambert arrived for the British, the 7th and the 43rd Light Infantry, numbering about 1,700 men. Pakenham now had an estimated 8 to 10 thousand men (including marines and sailors ), he needed to act soon, the men could not be kept in their miserable state much longer. Food supplies were running very low, as it was expected that the British army would have been in New Orleans already.